Iconic is a berry red polish with gold shimmer and flakies. It's like red with a twist. Very unique and so hawt. Mmmm... Yeah, I just used the term hawt. I don't quite know how I feel about that, right this moment. Hahaha. Two coats with topcoat. No application issues. Smooth as butter. I could go for some buttered toast right now. Yummm. 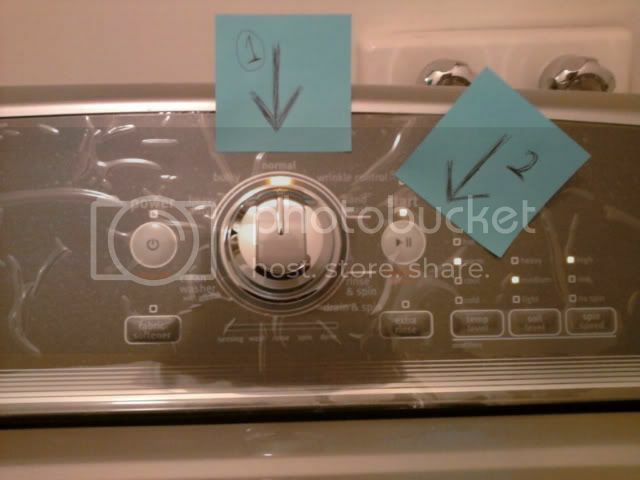 Lol of the Moment: We just recently got a new washing machine. Our old one was older than me. And I'm a quarter century. So it was definitely time. But the new one is kinda, sorta "fancy" so my mom has no idea how to use it. In an effort to make it easier for her, I have included sticky notes. This makes me lol to no end. Typical of certain ethnic groups to leave the plastic wrap still on furniture and appliances. I think I got rid of word verification. Lol, I left the plastic on because I was originally going to use sharpie to draw the instructions on the plastic, but my mom wouldn't let me. Now it's part of the machine.